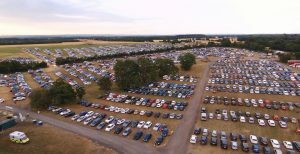 Parking Services transforms greenfield sites into temporary car parking for your attendees. Right Guard Security provides a professional and flexible approach to managing temporary car parks & event parking. Our parking teams are often the first people your visitors will meet on arrival. It is extremely important that your customer experience begins as they enter the site. Our easily identifiable, high visibility uniformed parking stewards assist and direct arriving motorists to suitable parking locations. Our parking teams are customer service focused, English speaking and fully briefed before being deployed. All are equipped with personal radios, maintaining communication with their supervisor and the management team. To assist and help direct motorists onsite, we provide bespoke signage to convert the location into a safe and effective car park. This includes signage and equipment to aid both motorists and pedestrians, increasing safety and awareness. With any temporary outdoor parking site, consistent monitoring and dynamic risk assessing are required by our supervisors and management team to maintain overall control of the site and its users and to adjust plans accordingly. This includes traffic volumes and weather considerations as some locations will only work in fair weather. Additionally, external contributing factors may also have an adverse effect on the site regarding entrance and exit routes, therefore the wider picture is always required. Site surveys and detailed site plans will be produced in advance for parking on greenfield sites and temporary car parks, selecting safe and appropriate access and egress routes. We work closely with event organisers and multi-agencies to establish safe site and contingency plans to accommodate their onsite parking and traffic management requirements. With all of our car parking assignments, contingency plans are always at the forefront. This may include our 4×4 support vehicles or the added professional value of our CSAS Accredited Traffic Officers. 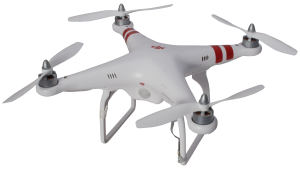 To support our traffic management deployments we can deploy our GPS aided drone to assist us in aerial viewing of the car parks, this includes on-site key entry and exit routes including external approach routes that may be affected by the event. The drone provides a live feed to our control room, enabling regular updates on the car parks and available capacity levels whilst providing overall updates on the event footprint. The information provides valuable information and an overview of the traffic movements to enhance our management capability of the areas affected, enabling a troubleshooting facility with the redeployment of our CSAS traffic personnel or TM equipment. The value of choosing Right Guard Security is the experience, professionalism and flexibility to support your parking requirements, 365 days a year.